Piriformis syndrome is a leading cause of pseudo-sciatica. The piriformis is a small muscle located deeply in the buttocks near the posterior hip. This muscle usually lies on top of the sciatic nerve, but in some instances, the nerve actually travels through the muscle on its way down the leg. Pain is thought to occur due to piriformis-enacted compression of the sciatic nerve, causing variable symptoms including pain, burning, tingling, numbness or weakness in different areas of the lower body. Piriformis pain is strangely named, since it does not usually cause discomfort locally. Certainly the piriformis muscle itself is not the source of pain in the vast majority of patients. Instead, the condition merely describes one of the many possible instigators of non-spinal sciatica that can occur in the human anatomy. This focused topical essay examines the ever-growing diagnosis of piriformis muscle syndrome. We will examine the causes of the condition, as well as its possible expressions. Finally, we will provide some information on piriformis pain that every diagnosed patient needs to know before seeking treatment. 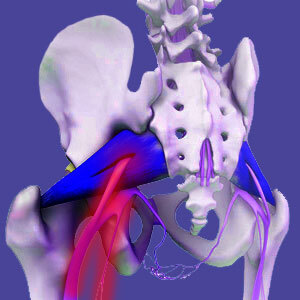 Piriformis pain syndrome describes one of many pseudo-sciatica conditions. The patient might have some tenderness or tightness at the actual point of sciatic nerve compression, but will almost always demonstrate symptoms below the compression site. Pain will be experienced in various regions including the buttocks, legs or feet. The most common pattern involves discomfort in shooting waves or surges that occurs down the back or outer sides of the upper legs and into one or both feet. Most patients will also demonstrate periods of paresthesia, where the same regions will feel tingly or numb. Some patients will display weakness or the perception of general weakness in the legs or only in specific areas of the legs or feet. Some patients will even demonstrate neurological deficits, such as foot drop. Less commonly, patients might suffer compression of the pudendal nerve instead of, or as well as, impingement of the sciatic nerve. In these circumstances, symptoms might involve incontinence of bladder or bowels, sexual dysfunction, pelvic floor pain or saddle paresthesia. Symptoms might be patterned and in such cases, might be linked to movement or positioning of the lower body. Some patients suffer escalated symptomology when sitting, while others tend to experience heightened discomfort when standing or active. Symptoms might also be random and impossible to classify as any patterned expression. Although elicited by the piriformis muscle, symptoms will be experienced in the areas of the body innervated by the compressed portions of the sciatic or pudendal nerves. This can make positive diagnosis of piriformis-related pan that much more difficult. Piriformis syndrome is often mistaken for similar painful conditions, including spinal sciatica, alternatively caused pseudo-sciatica, sacroiliac joint pain or hip pain. If there are incidental structural issues that might support these other diagnostic therapies, accurate diagnosis of piriformis-related pain might take a very long time an might only be accomplished after failed treatment for the scapegoat condition. About one fifth of the total population of people demonstrates a congenital abnormality where the piriformis muscle surrounds and often entangles the sciatica nerve. Normally, the sciatica nerve passes under the piriformis body, but in these exceptional individuals, the nerve actually traverses the path directly through the muscular fibers. Piriformis syndrome is more common in these people, but not everyone who demonstrates the nerve-through-muscle anatomical feature will develop pain. 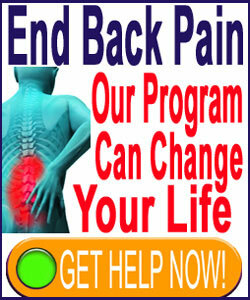 In fact, only a small minority will develop sciatic nerve symptoms. The usual mechanism theorized to be responsible for compression of the sciatic nerve by the piriformis is spasm or chronic tension causing the muscle to bear down on the nerve. What causes these spasms ranges from patient to patient, with some suffering from localized injury to the muscle and others suffering from structurally-motivated imbalances. However, the primary evidence-based reason for most cases of chronic piriformis pain is oxygen deprivation of the muscle, causing it to go into contraction. This is both logical and proven scientifically, with a great number of patients showing signs of cellular oxygen deprivation in piriformis muscle tissues when subjected to laboratory analysis. Although piriformis syndrome is more often diagnosed in patients who demonstrate the nerve-through-muscle anatomical trait, this fact might due to subjective speculation, rather than actual demonstration of any evidence-based verification of pain based on the sciatica nerve compression model. Remember, sciatica in all its many forms is often mysterious and can create identical symptoms from a vast diversity of completely different origins, including structural, non-structural, systemic and mindbody sources. Piriformis syndrome is a diagnosis often made by chiropractors, massage practitioners and physical therapists. It is virtually never cited as a cause of sciatica by traditionally-trained orthopedists and neurologists, adding more controversy to the universal acceptance of the piriformis as the source of pain in many diagnosed patients. We have witnessed a great abundance of evidence showing clearly that piriformis nerve compression can and does occur, but often not for the reasons originally suspected by diagnosticians. We see far more causes of psychogenic ischemic causation than we do injurious or imbalance-related piriformis spasms. However, mindbody causation remains the least commonly identified form of piriformis pain syndromes, providing proof positive that most doctors are still gravely behind the times when it comes to recognizing obvious cases of mindbody oxygen deprivation as the direct cause of chronic pain. Enjoy a comprehensive look at piriformis syndrome on our piriformis pain informational resource: Piriformis-Pain.Com.